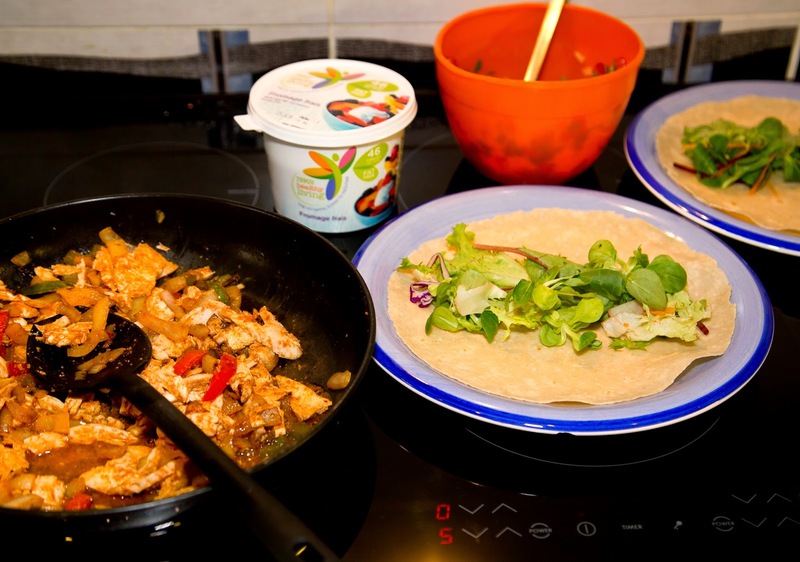 Fajitas are a favourite in this house when we want something quick and easy for lunch or dinner, so when I discovered that I could have the BFree wraps as my Healthy Extra A, I was very excited. I would normally have (at least) a couple of fajitas, but thinking about it, the filling is what really matters. So I made one HUGE wrap today, full of flavoursome chicken and superfree veggies, with just 1 syn! Result! I call this a “cheat's chicken fajita” because I used cooked deli chicken instead of chopping and frying my own.Tut tut tut. Sauté the peppers and onions in Fry Light until soft. Add the chicken and stir well. Mix the paprika, celery salt, salt, cayenne pepper, cumin, garlic powder, onion powder and sweetener and add 2-3 tbsp water to mix. Pour into the chicken and vegetable pan and stir well to coat. Continue stirring, adding more water if necessary, until everything is heated through. While the vegetables are cooking, make the tomato salsa. Mix together the chopped tomatoes, onion and coriander, and add the lemon juice, lazy chilli and salt and pepper to taste. 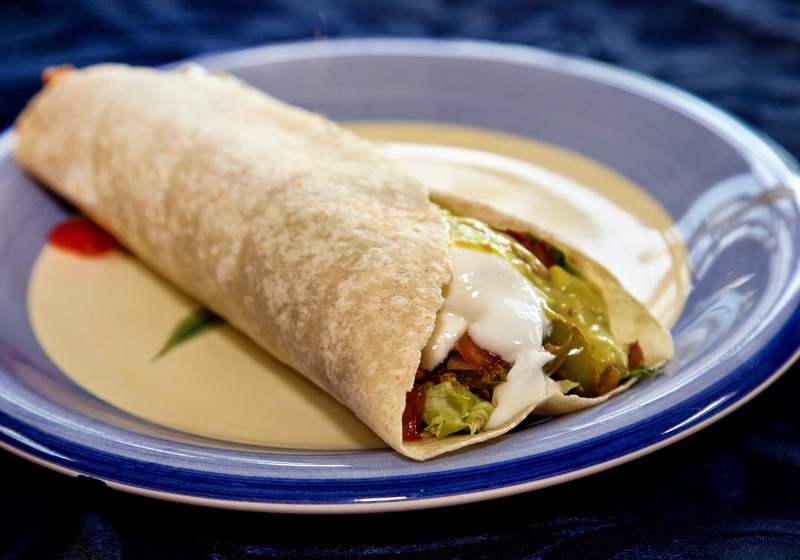 Place one wrap on each plate and top with the salad leaves, followed by the chicken and vegetable mix. 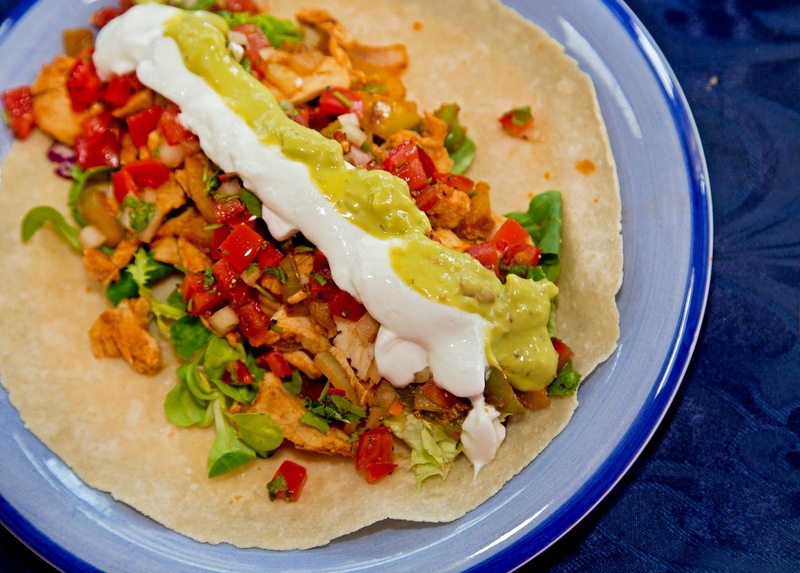 Divide the tomato salsa between the two plates and top with fromage frais and guacamole style topping. Roll up – if you can, mine was so fat it was almost impossible – and enjoy.